Lauren Oliver is such an amazing writer and I don’t think I’ve ever heard of a book like Replica. If you don’t already know, this book is actually two stories: one in Lyra’s POV and the other in Gemma’s. One half of the book is Lyra’s and the other is Gemma’s, so you flip the book around to read each one. I know there are at least three different ways to read it, and I have no idea which one I’m going to chose! I’m so excited for this one too since I love all of Lauren’s writing. I did however read a few books like that when I was younger, they always caught my eye at the library so that’s probably why! I’ve never read a flip book before so I’m super excited! I’ve not heard of this book before now, but it sounds intriguing. Do you flip the book as you read? That will be a first for me, but I will have to give it a try. That’s fantastic! I can’t wait! Lauren Oliver is one of my favorite authors and I cannot wait for this book to be released!!! Oh man I want this book so bad! I don’t even really know what it is about, but the formatting is too cool to pass up! I know!! I’m so excited to read my first flip book. Hey there! 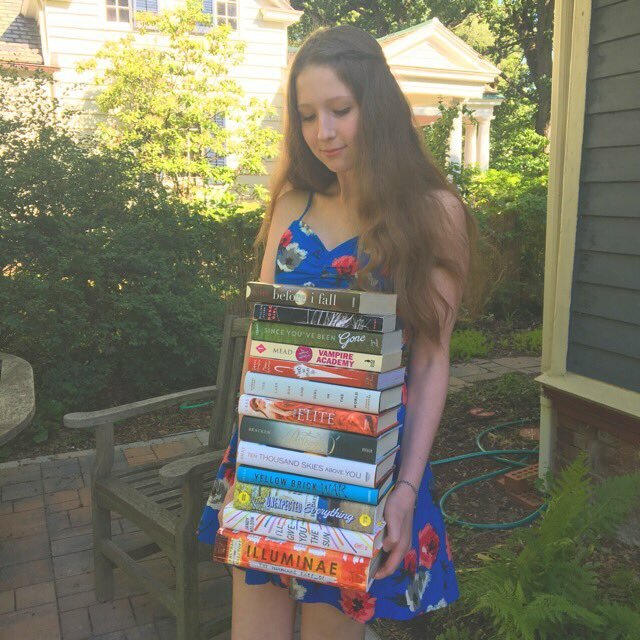 I'm Sophie and welcome to Book Wish. I'm addicted to reading, and I love to write, so why not combine both and create a blog? I do everything from book reviews, to tags and hauls. Some of my favorite books are Before I Fall by Lauren Oliver, Cinder by Marissa Meyer, and Since You've Been Gone by Morgan Matson.